For starters the 4k 30p, 24p, 25p video internal mode records in the robust XAVC-S video format at up to 100Mbps which is comparable to what the Panasonic GH4 and a7s II cameras record 4k into. It also has S-Log3 Gamma for a flat profile for creative grading and LUT application for editors and colorists. If you were looking for a Sony 4k alternative in an S35 crop sensor then this is the camera for you. Furthermore the 4k mode is using the entire S35 frame and correctly down-sampling the image for extremely crisp looking 4k video from a 6k original sensor source. The video mode is also spiced up from 1080p 60fps to 1080p 120fps which more and more seems to be the base frame rate instead of 120fps 720p which was less than ideal. Good to see higher res frame rates starting to take over and leaving 720p as a distant memory. 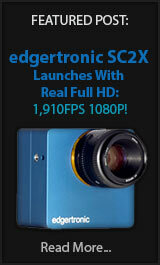 The HD 720p mode in this camera is extremely low quality and should be avoided at only 6Mbps. 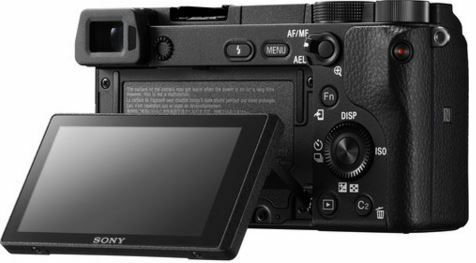 It is clear that the 1080p 120fps in the a6300 is exemplary for a camera of this price range. The quality, lack of artifacts and dynamic range are top notch. There might be some compression issues in high motion scenes but at 100Mbps in 1080p 120 the quality is sufficient to do justice to the frame rate. There is a 1.1x crop oin this mode which is not a deal breaker however. This is probably the best 120fps quality we have seen from Sony in a camera under $1000 USD. 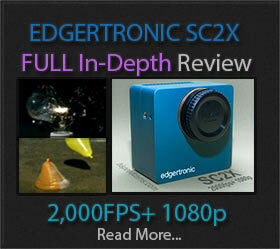 We wish they didn’t stop there and made it 240fps at least at 720p but it is a great feature non-the-less. The other gigantic feature is 4D AF on the camera which is a phase detection mode similar to what the Canon 1DX Mk II showed us this week but at a very much reduced entry price. The Canon is a $6k beast while this pocketable Sony is $1k. You get top of the line AF and features like 120fps full HD which are comparable on both cameras with the addition of a 4k mode at up to 30fps on the Sony with 100Mbps instead of a massive 400Mbps on the Canon for 30p and 800Mbps for 4k 60p. Both cameras seem to be able to track moving subjects perfectly and the continued push to perfect focused shots continues. 2016 is shaping out to be the year of AF tracking. The a6300 is also able to fully track 1080p 120fps with full Autofocus tracking which makes it even a better deal. The Panasonic GH4 at just 96fps and with no AF in the mode with less than spectacular resolution already seems like a slow motion mode from the stone age. Panasonic in their GH5 will have to offer a lot better AF tracking in all modes to compete head to head. Sony Claims 14 stops of Dynamic Range with the a6300 using S-Log3. However that claim will have to be validated with only 8 bit recording to card but HDMI out will get you 8 bit at 4:2:2 which is a little better but far from 10 bit. 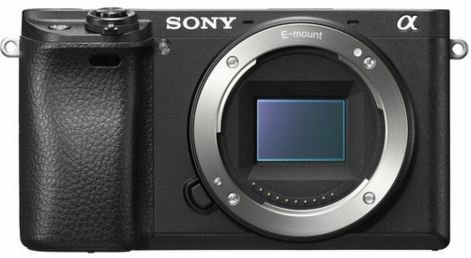 Sony is playing hardball, it has the best DR in sensors, the scaling algorithms and performance of cameras that are in much higher price brackets and it is putting it all in your pocket at under $1000 USD. If you were thinking of a GH4 or Samsung NX1 for the 4k capabilities; Sony just made you regret those choices unless you want a specific feature like a traditional Vari Angle LCD. A 6k super-sampled image reduced to 4k and recorded in a good codec that at 100Mbps is very clean makes you think hard about other cameras out there which cost much more. This looks to be the best bargain for ILC video recording compact ever released with the performance of a camera in the pro leagues including Stills at up to 11fps. Panasonic, Canon, Samsung, Nikon and others take note, Sony is delivering professional performance at a bargain price, your answer should be at least competitive. If you need only 120fps full HD then this will be the camera to get if you need interchangeable lenses, great stills and 14 stops of DR! Sony Alpha A6300 Digital Camera Body with 16-50mm E-Mount Lens! We will have more slow motion samples from the Sony a6300 camera as they become available. Stay Tuned! Previous PostCanon 1DX MkII Gets fps Back into the Game!Next PostCentriphone Video Turns iPhone into 360 Slowmo! Is the 120fps FHD mode really just a 1.1x crop? If it is I would totally buy it. I have and love the A7Sii especially for the 4K and low ligh capabilities, but its 120fps mode is neat but not really usable in most cases because of the extreme 2.2x crop. As far as we know the crop in 1080p 120fps is 1.1x on the a6300, but if ordering the camera be sure to confirm with the seller first. It is a great camera at a pretty low price considering how much you get in features. Does this record audio in slomo? Can’t find the answer anywhere! Audio will not be recorded in HFR mode 120p. So no sound.